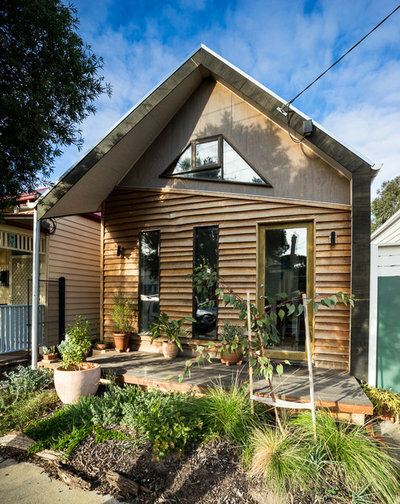 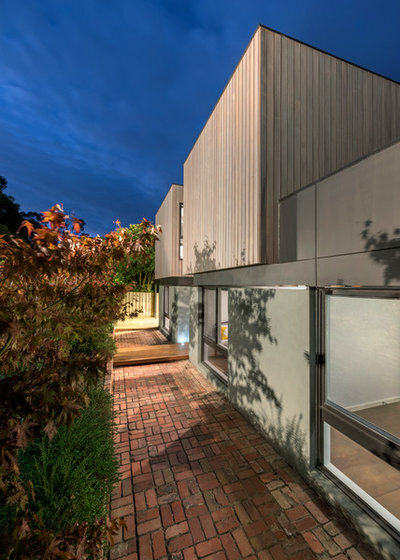 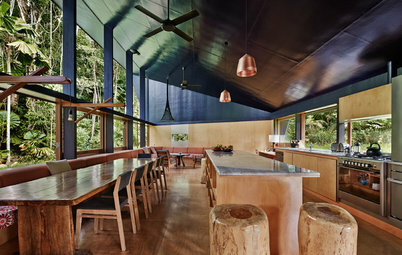 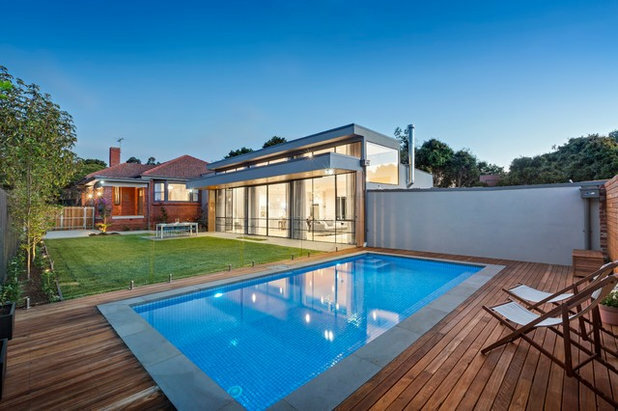 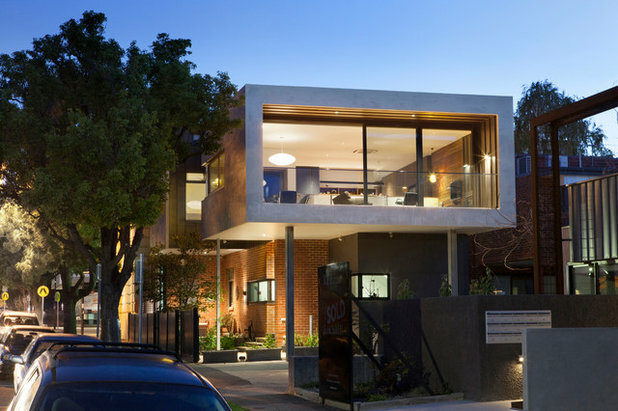 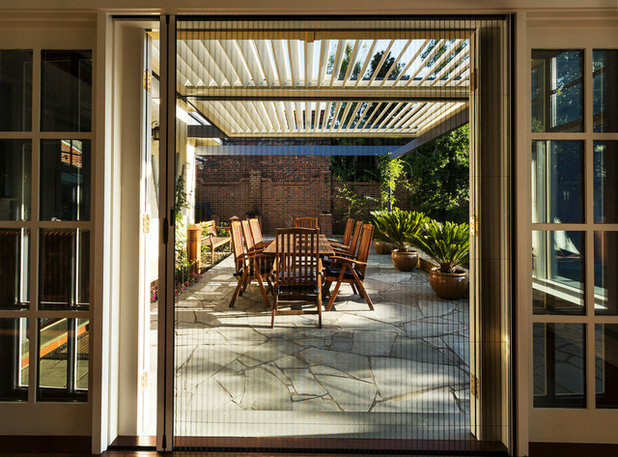 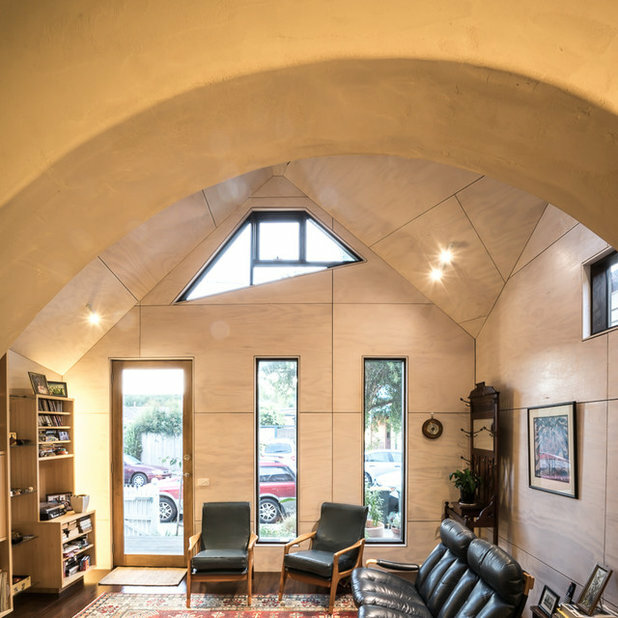 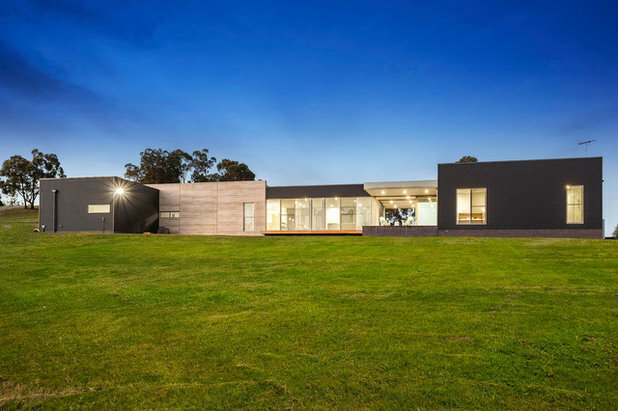 Winners of this year’s Building Designers Association of Victoria awards “continue to push boundaries, particularly in the areas of sustainability, use of natural materials and uniquely crafted spaces,” says association President Alastair McDonald. 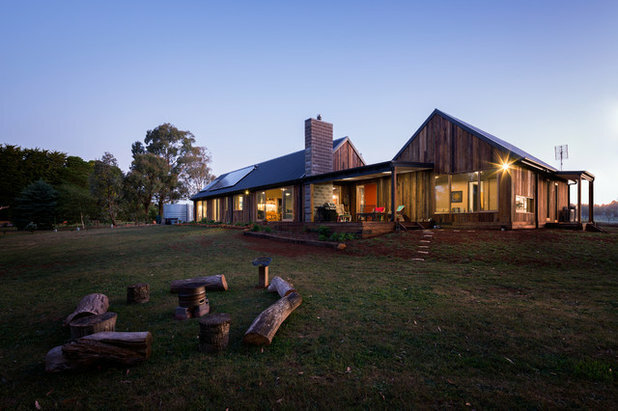 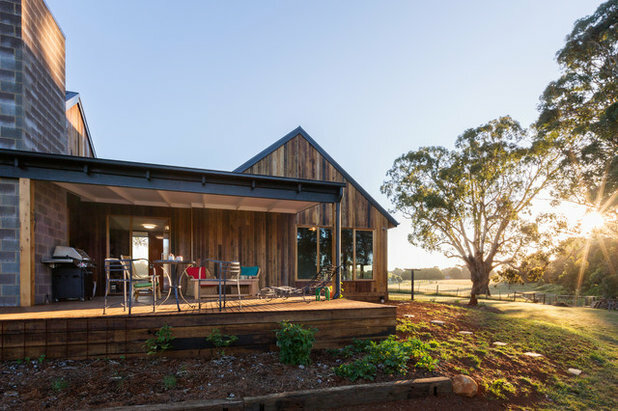 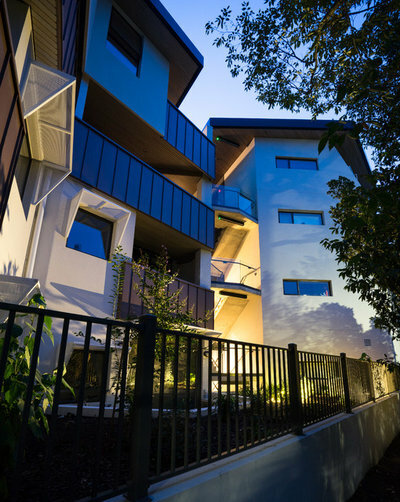 A selection of these winners from Australia’s populous southeastern state will now be shortlisted for the country’s National Building Design Awards to be held later in the year. 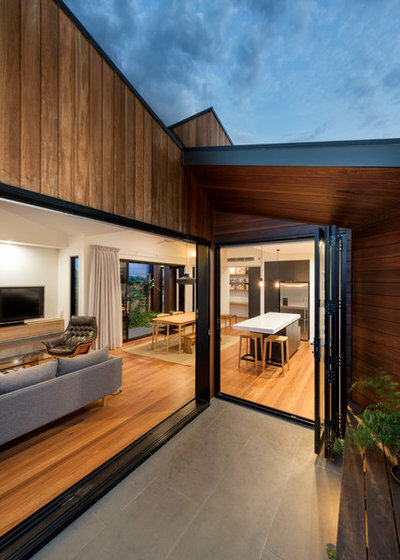 Judges’ notes: “This striking, modern and stylish new home is an extension, atop the rear component of an original heritage building, formerly a bank. 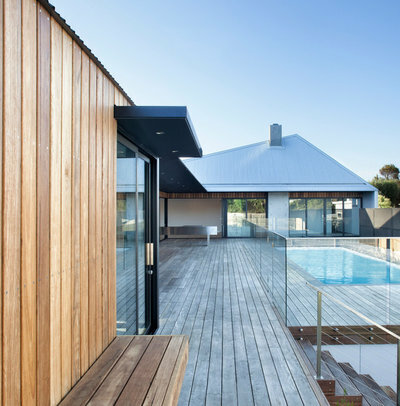 The transition from old to new has been expertly executed. 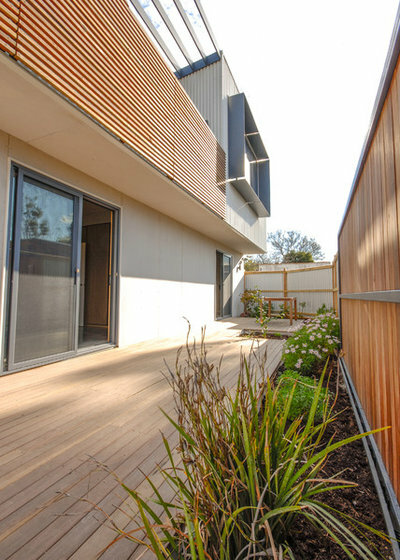 Materiality is the key to the project’s success. 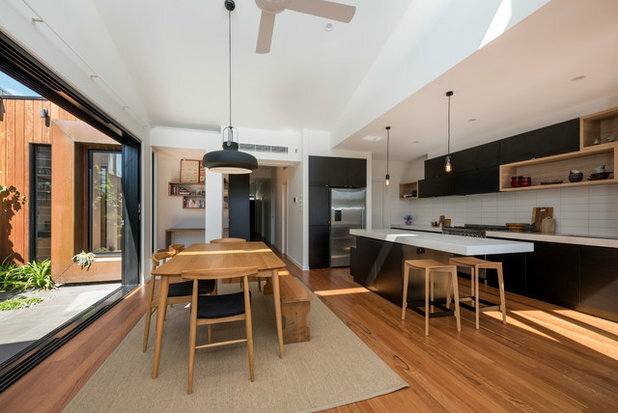 The judges continue: “The sleek, monolithic kitchen has a restrained palette of relaxed materials and strong rectangular forms. 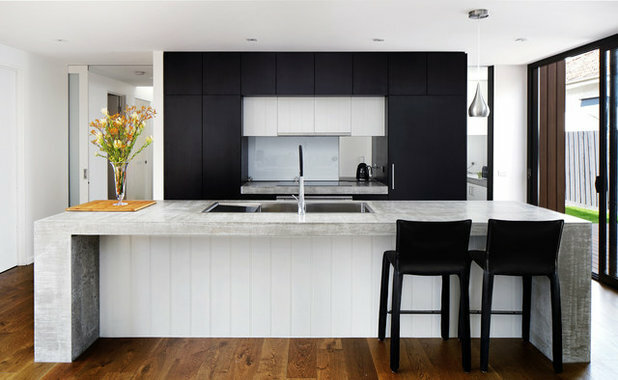 The bold black [faucets], wine rack and window frame give definition to the working wall, where the white cupboards almost float from the concrete wall. 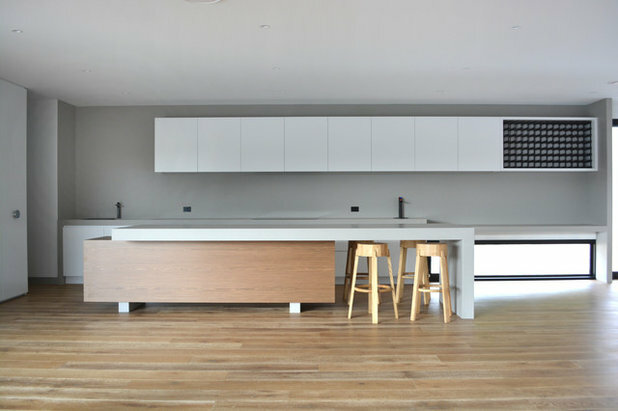 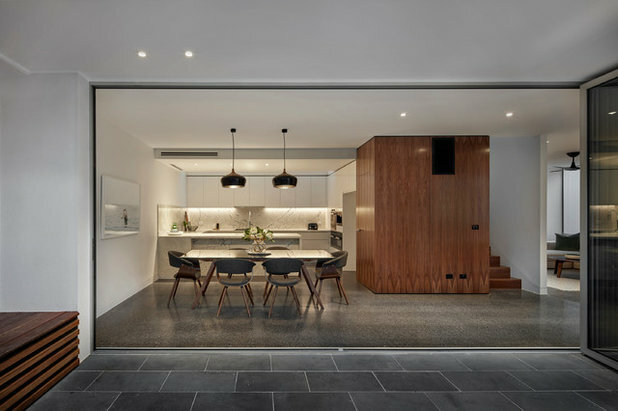 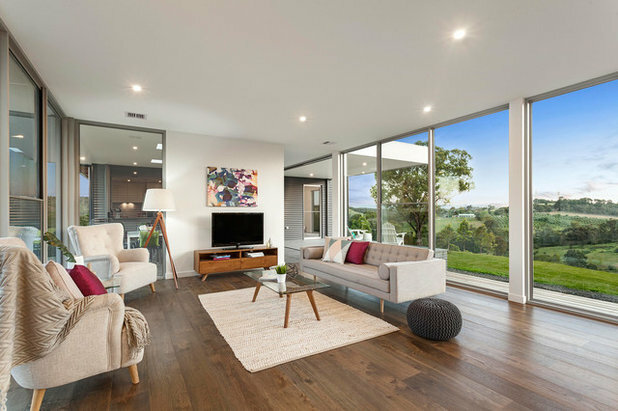 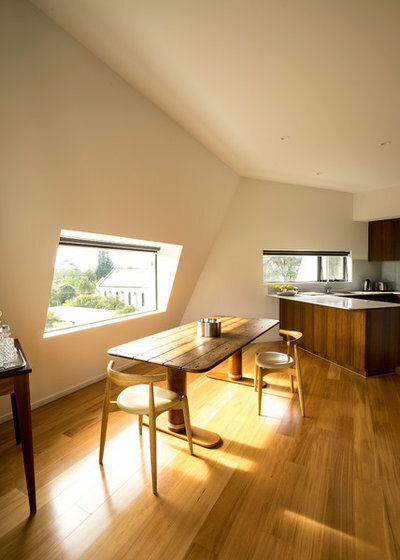 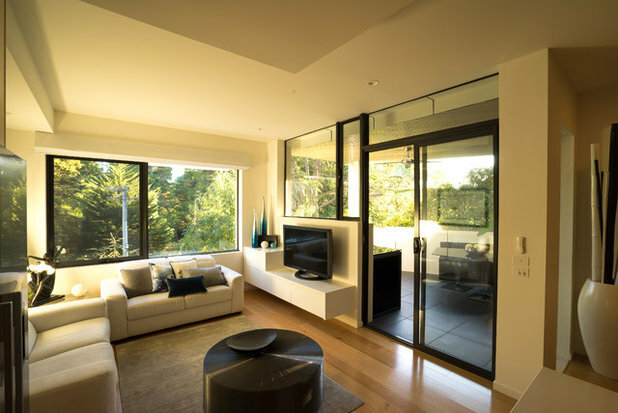 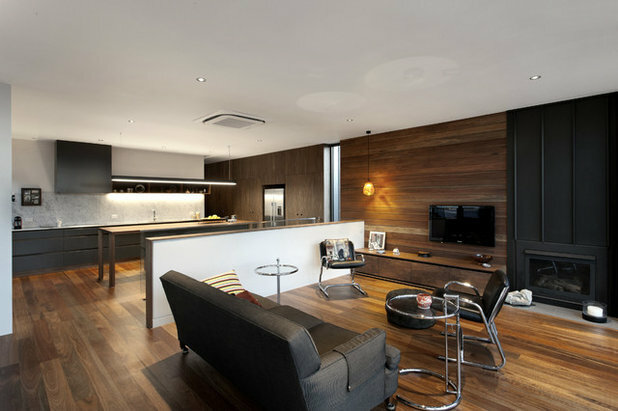 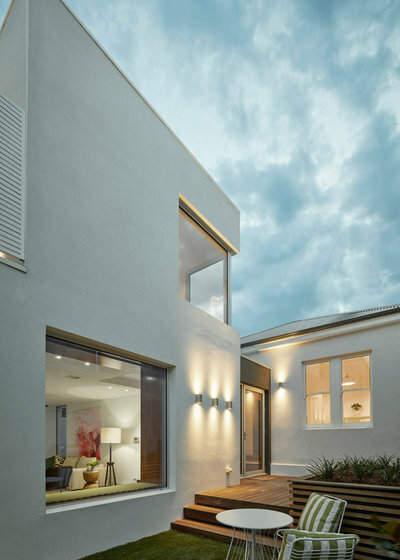 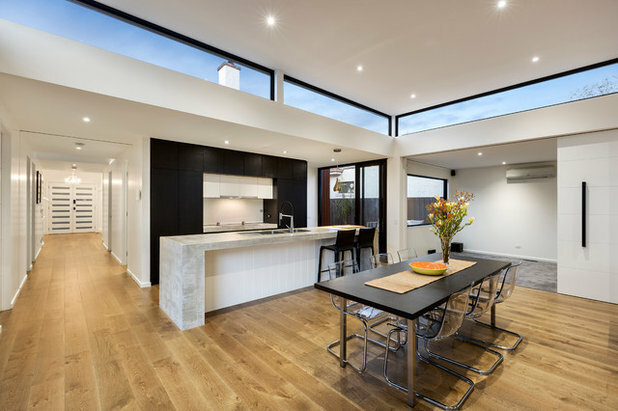 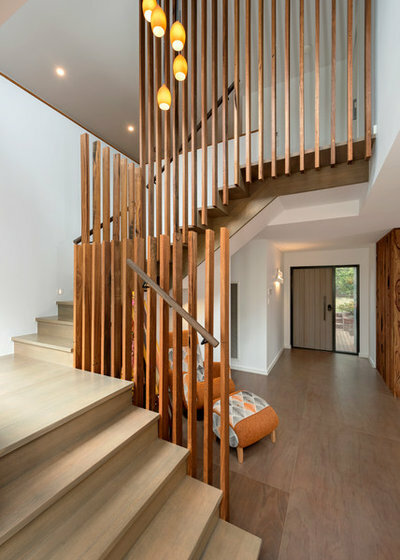 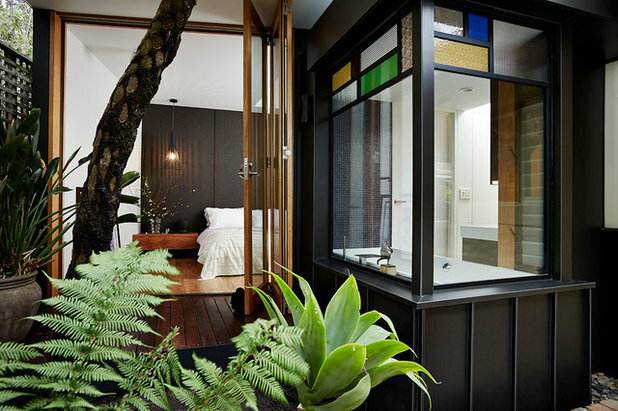 Everything we see from Australia in Houzz is very contemporary and stark.....are there no character homes that can be displayed in Houzz? 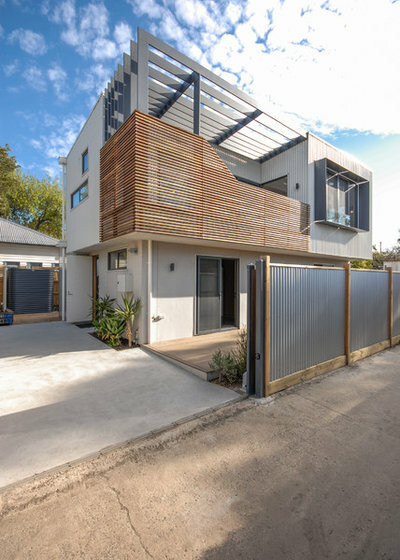 I spent several months there and didn't see the contemporary designs that are shown here continually but rather very distinctive architecture that I would really like to see reflected in this site. 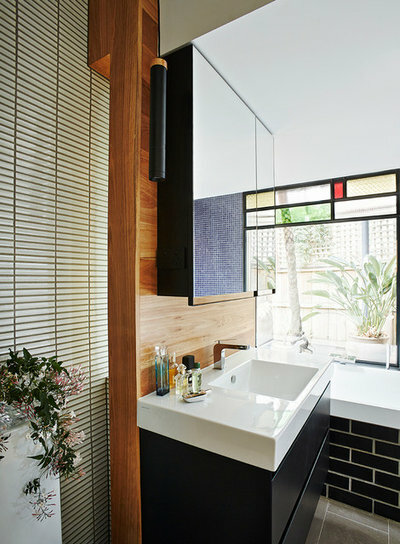 #7: "Gloss black tiles anchor the [cooktop]..." In the bathroom?? 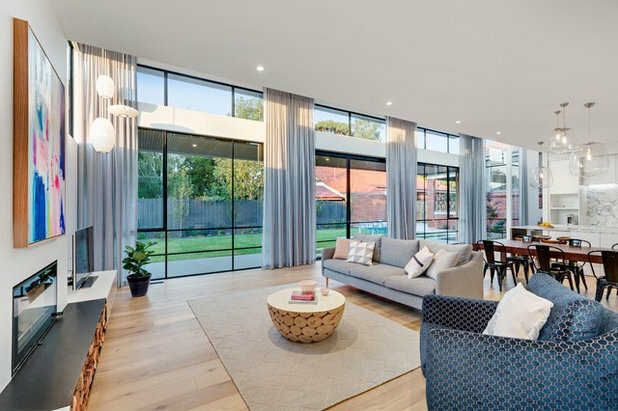 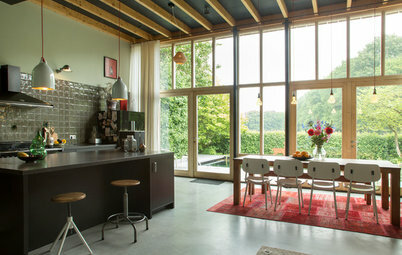 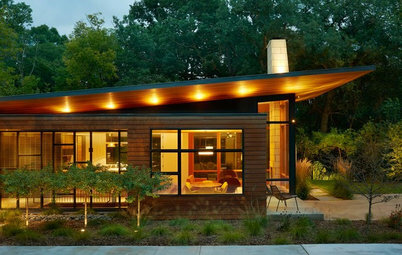 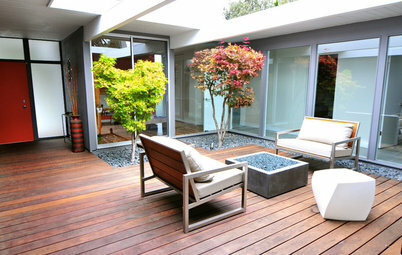 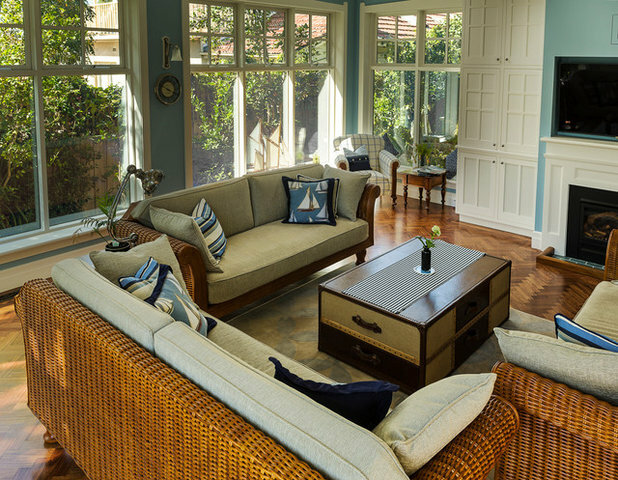 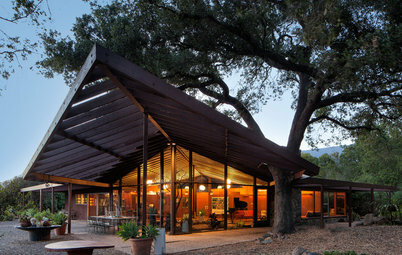 I love that living room in #3 with all the glass. 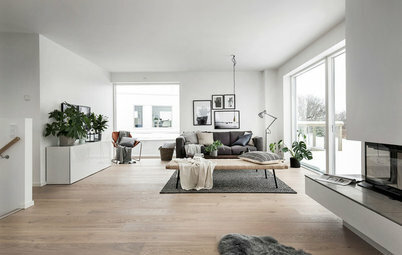 So simple, you just feel like you're outside.